Wee Travel Baby Equipment Rentals: Toronto and Vancouver CA. 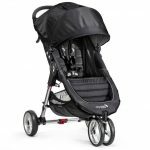 carseat rentals, crib rentals, highchairs, strollers. Wee Travel launched in Vancouver and Toronto in 2005 as Canada’s first baby equipment rental company. We make it easy for parents to travel lighter and stress-free, by providing the full range of hard-to-pack baby necessities. For more information on Wee Travel, please view our media kit. Worried that renting baby equipment will get you old, dirty and cheap gear? Have no fear. Baby equipment is safety inspected after each use. We are alerted by Health Canada if any of our products are recalled, in which case they are removed from our inventory. 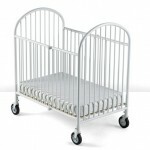 Baby furniture and equipment is top-of-the-line and is likely the brands you are familiar with at home. When you rent from a seat from the car rental company, ever wonder when the last time it was cleaned? Do they have options available appropriate for your child’s age, weight & height? 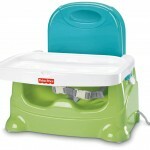 Highchairs keep YOU clean. Think about feeding your baby on your lap for the whole trip. We understand your reasons for buying an $19.99 disposable stroller for your trip, but your baby won’t be as understanding. Car seats are a lifesaver. They prevent you from having to take a bus from the airport because some cabbies won’t put your baby at risk. 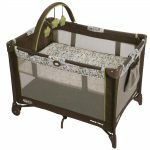 Before you forgo the pack ‘n play or crib, think of the safe, clean place your baby will sleep in. Baby can do without his exersaucer, swing, bouncy chair, and toys for a few days. After all, nothing beats your undivided attention 24×7.